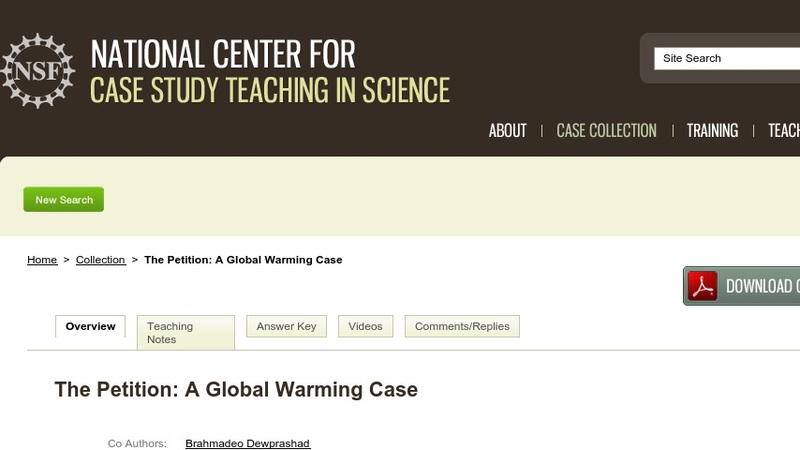 The goal of this dilemma case study is to teach students about global climate change. The setting is a faculty meeting where the discussion has turned to a petition circulating in the scientific community against signing the Kyoto Treaty. Students read graphs and interpret data and consider the political, economic, and ethical issues surrounding the controversy. The case would be appropriate for use in a variety of courses, including biology, geology, chemistry, physics, meteorology, economics, political science, and ethics.